From Thomas Sabo are these stunning Cubic Zirconia Hoop Earrings. A perfect addition to any outfit, taking to from day to night. 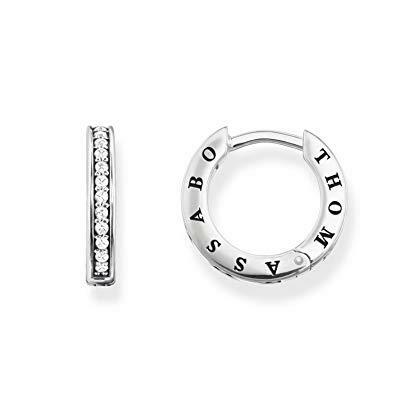 The Thomas Sabo Cubic Zirconia Hoop Earrings feature a small huggie hoop design. The hoops are embellished with CZ stones which gives them an extra sparkle. The branding of 'Thomas Sabo' is engraved in the edge of the hoops. These huggie hoops would be the perfect gift for her. The earrings are crafted from 925 Sterling. It is embellished with coloured Cubic Zirconia stones to give the earrings an extra sparkle.